Sweet new giveaway courtesy of Beads by Desi. We will get to that in a minute, but how about a few questions with owner, Desiree. 1. What's your "day" job? For my day job, I am an assistant manager for a bank. Jewelry has given me a creative outlet that my profession does not provide! 2. How did you get into making jewelry? My husband joined the Navy and we were moved to a different state where I didn't have a lot of friends or family. To occupy my time, I started experimenting with jewelry making by getting a kit from Walmart and following the directions. After a lot of trial and error, I found my own groove! Jewelry making gives me a hobby while my husband is away, and provides me with a little extra spending money. 3. What are five words you would use to describe your Etsy business? Affordable, simple, classy, fun, and wearable. 5. Five words that you'd use to describe yourself? Generous, dependable, cheerful, outgoing, and easygoing. 6. Anything else you would like to tell potential buyers? I love knowing my creations make people's day brighter when they wear them. In my shop you will find quality items sold at a decent price that will stand up to every day wear and can be worn year round. I offer a deal through the holidays for all my rings and earrings, if you buy 3, the 4th one is free! My items make wonderful gifts, but you might just want to keep them for yourself! I also like to do custom orders, and I have had several brides use my pieces as gifts for their ladies. 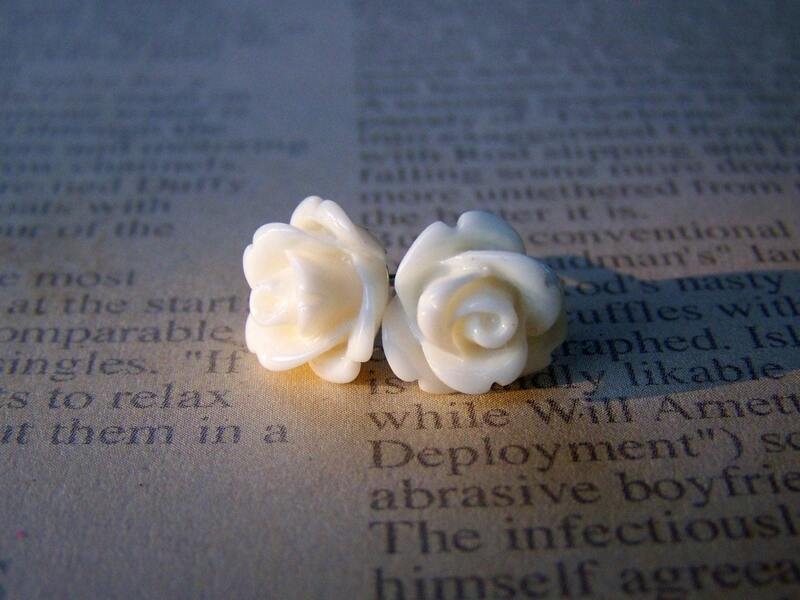 I was sent a pair of ivory rose earrings to test out. They came on a card like the above picture and were in a cute, hot pink, organza bag. They also came with two different kinds of backers, which was great. I love the simplicity of the earrings. They would look great with almost any outfit, in other words they can be dressed up or down as the day requires. They're also extremely well priced over at her store. Awesome deal. Where you can buy one: Right over at Beads by Desi on Etsy. They would make AWESOME stocking stuffers or great ideas for your co-workers. This part is mandatory: You must be a follower of this blog via GFC and then head over to Beads by Desi on Etsy and come back with a message stating your favorite item from her store. You have to leave separate comments for each entry. In other words, if you become a follower and tweet about the contest at the same time, leave one comment saying you're following and another saying that you tweeted it. Also, be sure to leave your email address in your comment. Thanks! That simple! This contest is open to readers in the US and Canada. This contest will run until November 11th at midnight Eastern. After that a winner will be chosen using a random number generator over at random.org. The winner will be the person with the comment of the corresponding number. I will then contact the person via the email left in your comments. If no answer is received in 48 hours a new winner will be chosen. PS-Have a new business that you want to promote? Have an old business that seems a bit stagnant? Just wanting some close-to-free publicity? Contact me at bluebutterflyvintage [at] yahoo.com to talk about sponsoring a giveaway on BBV. I will send you some fancy stats. Yes. Fancy. A note for The Man: Beads by Desi provided me with a pair of earrings for review and is offering this prize for promotional purposes. I am not getting paid for this promotion, but I was given the earrings for free. While it was sweet that I got a free pair of earrings, the free nature of said earrings did not influence my review of the product. I follow as jhb. I love all her earrings, and I love the Lovely leaf necklace. entered the World Famous giveaway. I am entered in your LadyLux giveaway too. The seashore scarf is beautiful! 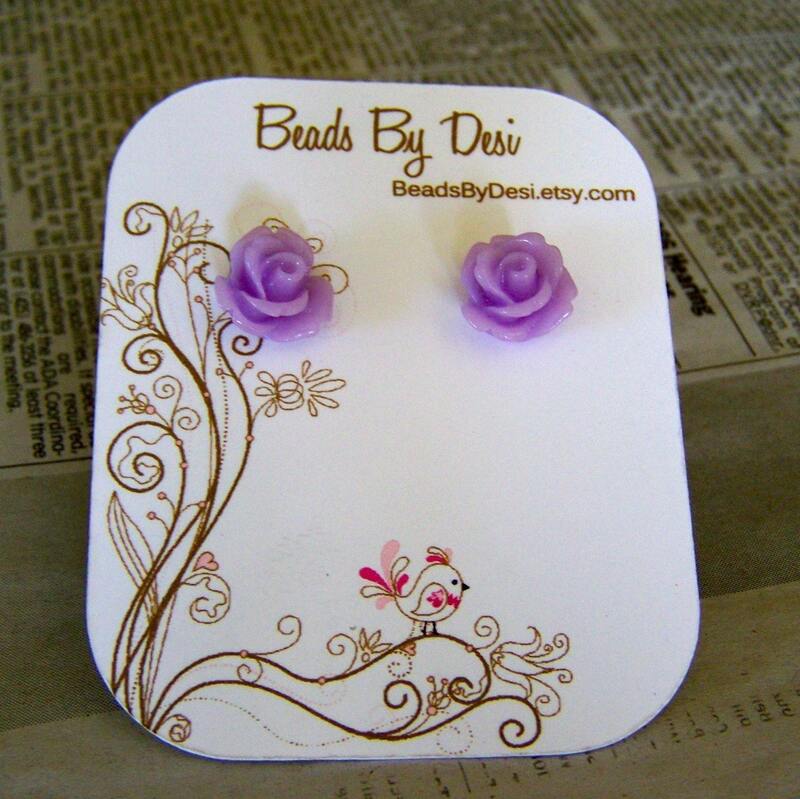 I follow and I love the Pale Peach Rose Earrings! I added her shop on etsy. I'm already a follower via GFC and my favorite item from her shop would be the blue bobby pin set. I follow you and love the green lotus earrings. Great prices! I heart her on Etsy...user livvyloo. I love the POP of the margarita rose earrings and bonus i have a dress that they would compliment perfectly! I follow your bolg via GFC! I'm a new follower, and I love the golden tulip ring! I entered the L and M Vintage giveaway. I'm a follower and my favorite item would have to be "Pumpkin Tulip Studs". I "heart" her Etsy shop! I am a fan of Blue Butterfly Vintage on Facebook. 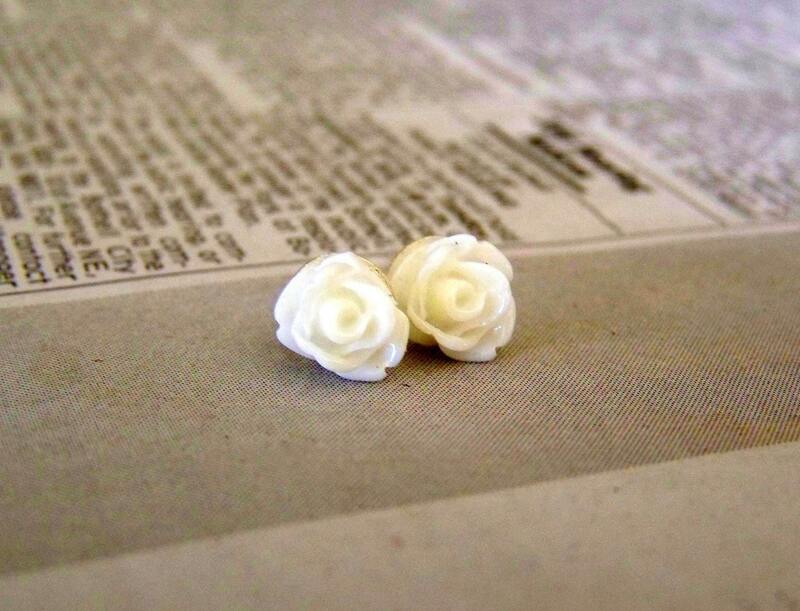 Love the giveaway item, the white rose studs. Follower on GFC as Mona Odegard. 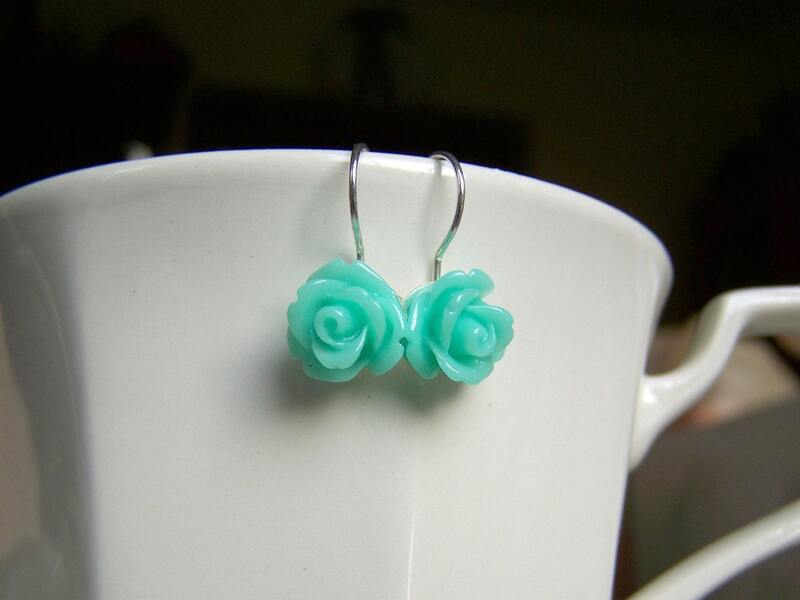 I follow, and I LOVE the white rose dangle earrings - so pretty! Thanks!! 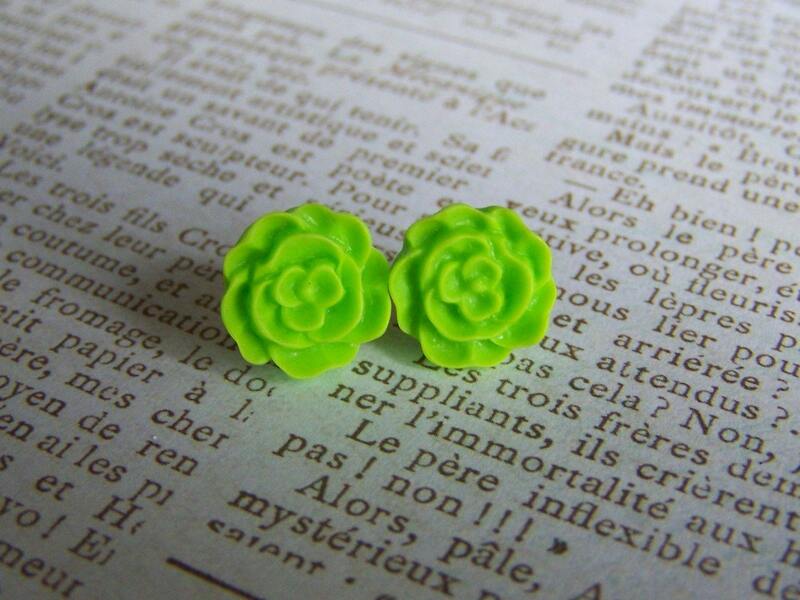 I am a follower and my fave item are the torquoise rose earrings...love the bright color! I like Rasberry Lotus Studs. i follow them on twitter, username texanq. I hearted her shop on etsy!!! and I hearted her store. Commented on "I got some splaining to do"
Posted about Giveaway on my Facebook Page. Writer, Music Lover, Photographer, Former Class Clown, Believer that aviators will never be out of style. 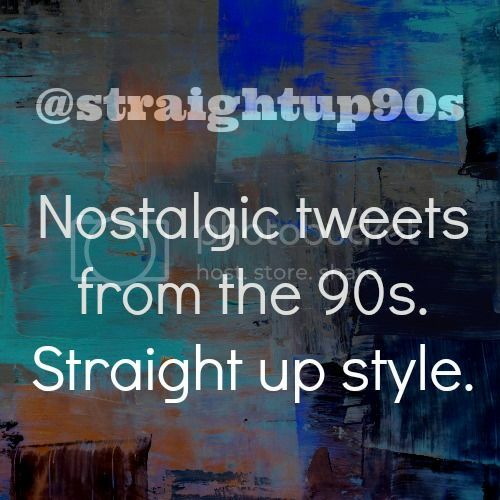 Obsessed with The Killers, old tee shirts, the writing of F. Scott Fitzgerald, dried apricots, general shoe fashions of the 1950s, ATP Tennis, large purses, NHL hockey, hot sauce, and the shirt dress. Behind the Scenes of Gossip Girl's Fashion Dept.